We support children and young people. We invest in the future. The main activity of Colonna is related to long-term investments. We also want to look into the future with our charity initiatives. In contributing towards the health, education and sporting activities of children, we improve their lives as well as the future of Estonian society as a whole. Help us to help others! 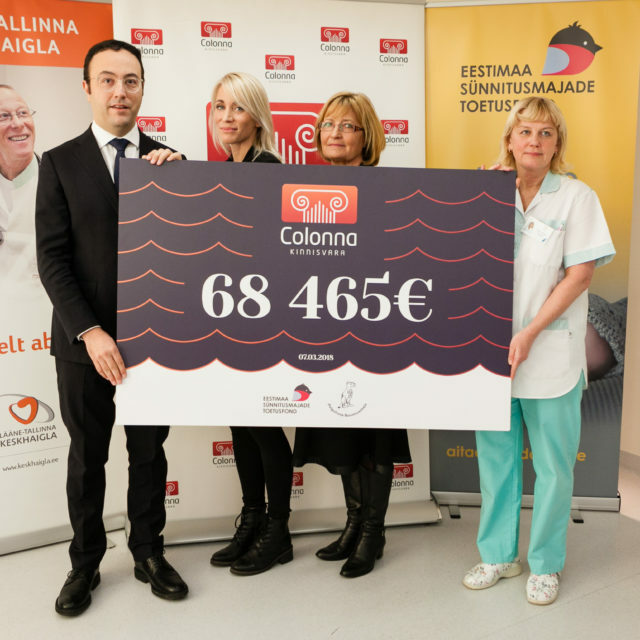 Colonna Charity Fund was established in 2018 by property firm Colonna, which has raised over 120,000 euros. 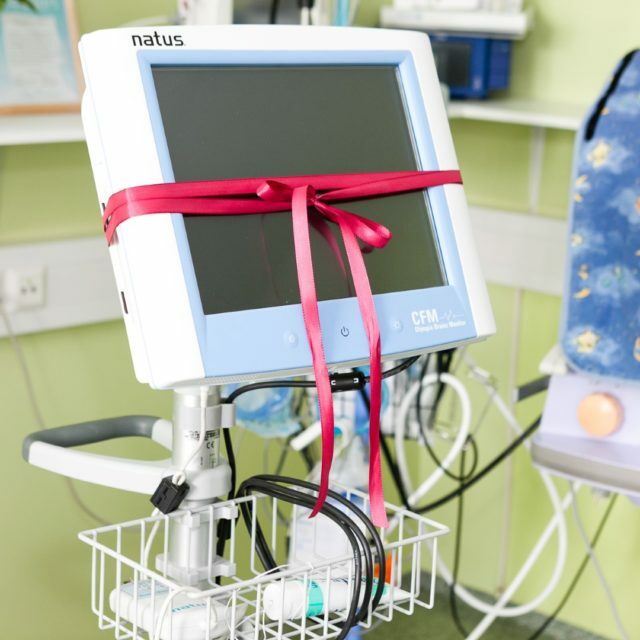 The charity campaigns that have been running since 2013 have aided Estonian maternity hospitals with procuring all-important medical equipment for treating newborn and premature babies. The funds our projects have raised so far have underpinned the purchase of several critically needed medical devices: a resuscitation table, an incubator, a neonatal brain monitor, and instruments for measuring the oxygenation of the brain. We have also been able to renovate two family wards at the Pelgulinna Maternity Hospital for better comfort for mothers and babies. 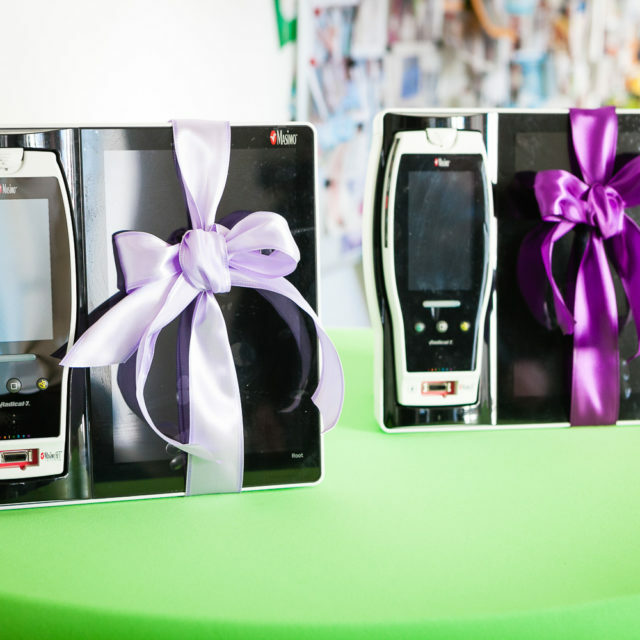 The doctors of Pelgulinna Maternity Hospital and the Maternity Hospital of East-Tallinn Central Hospital have managed to help hundreds of children with Colonna’s support. The founder of both Colonna and the Colonna Charity Fund Roberto de Silvestri said that the further object of the charity fund is to reach out to a broader audience in the society: in addition to helping newborns and premature babies, the Fund wants to start various charity projects that support the wellbeing, health rehabilitation, education and sporting activities of Estonian children. Colonna is one of the biggest commercial property investors in Estonia and the Baltic States. Colonna mainly mediates the placement of capital in real estate projects in the Baltic States by professional investors from abroad and organises business on the sites purchased. Colonna has mediated nearly 300 million euros in investments in the Baltic real estate market. The company’s portfolio includes 90 commercial buildings with nearly 250,000 square metres of rental space and 700 tenants. Colonna participates actively in charity projects and supports culture and sports.